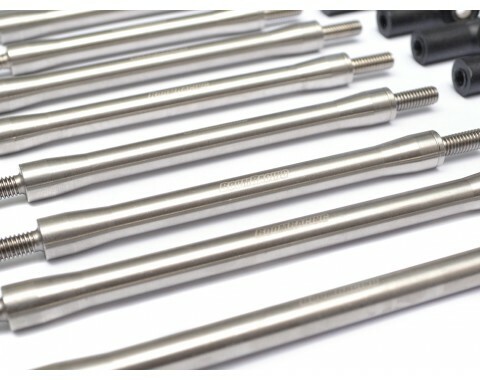 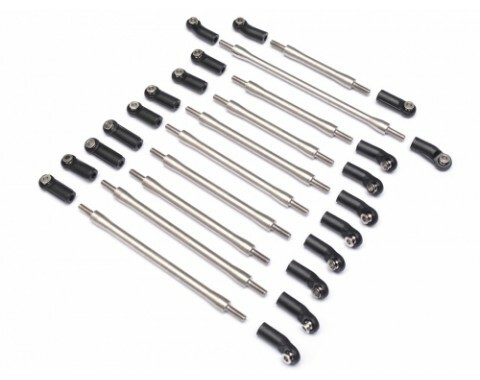 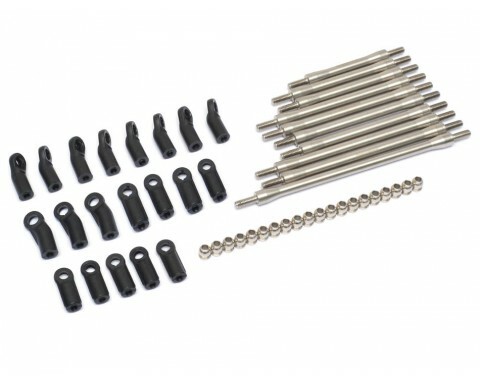 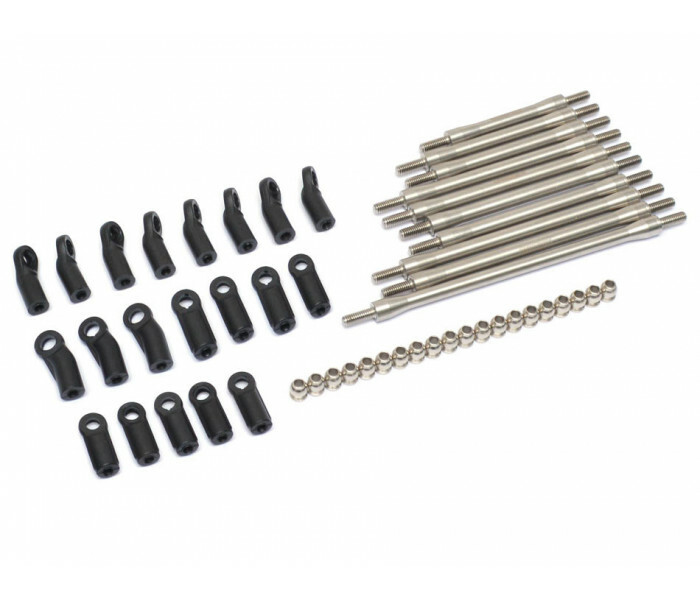 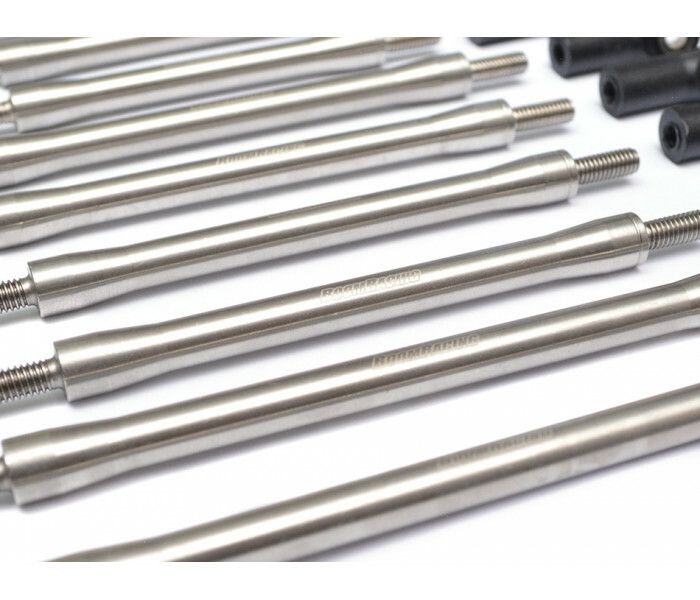 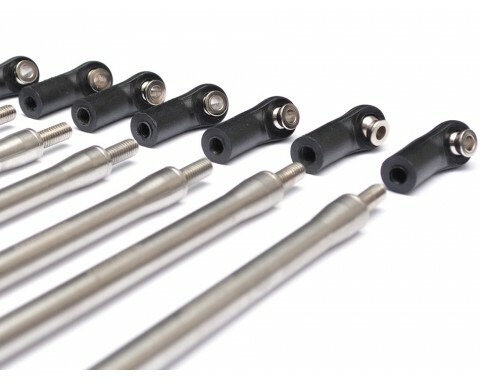 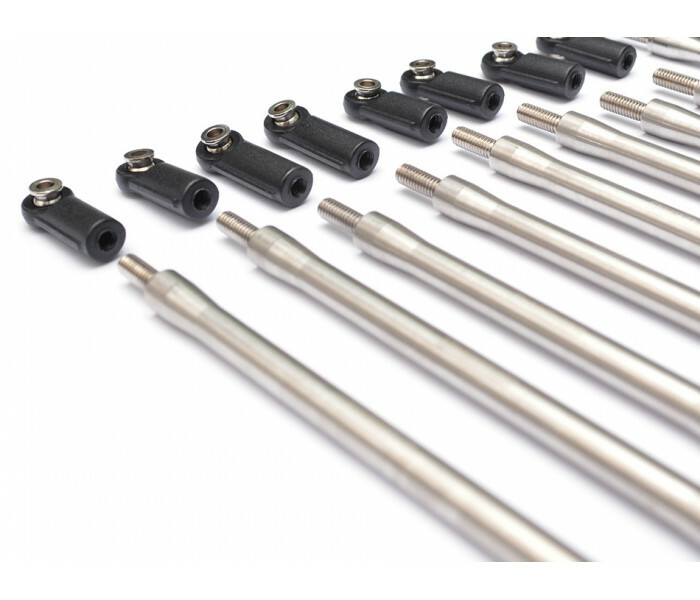 Complete Stainless Steel Links W/ Ball Ends 313mm Wheelbase (4mm Rod Ends) for MST CFX-W. 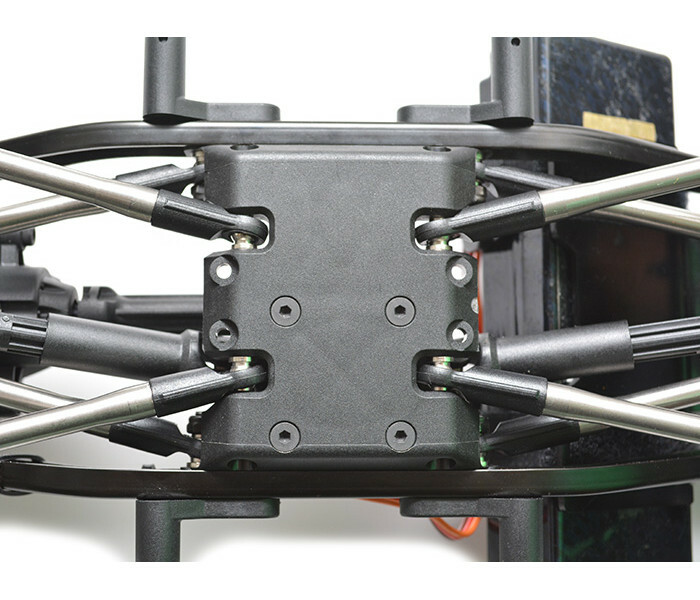 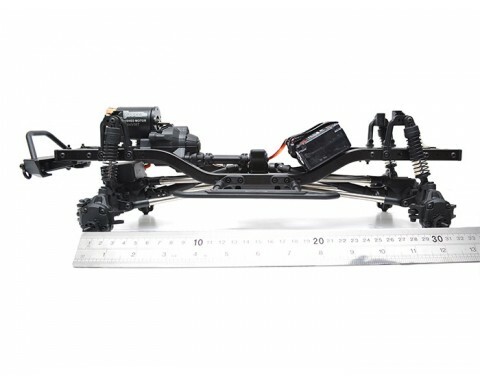 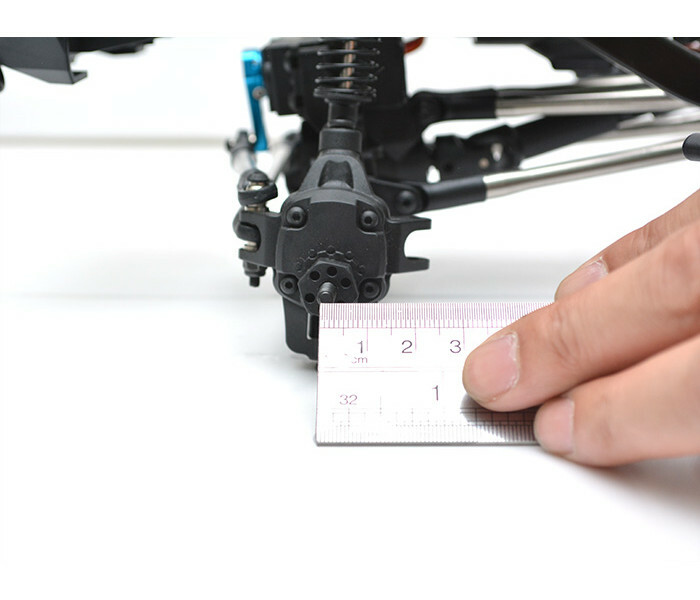 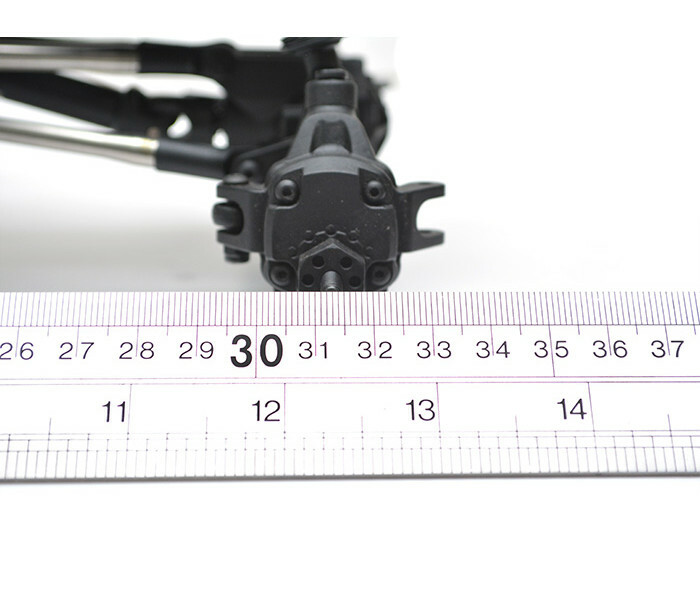 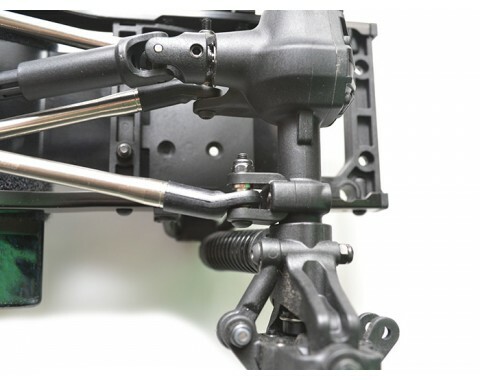 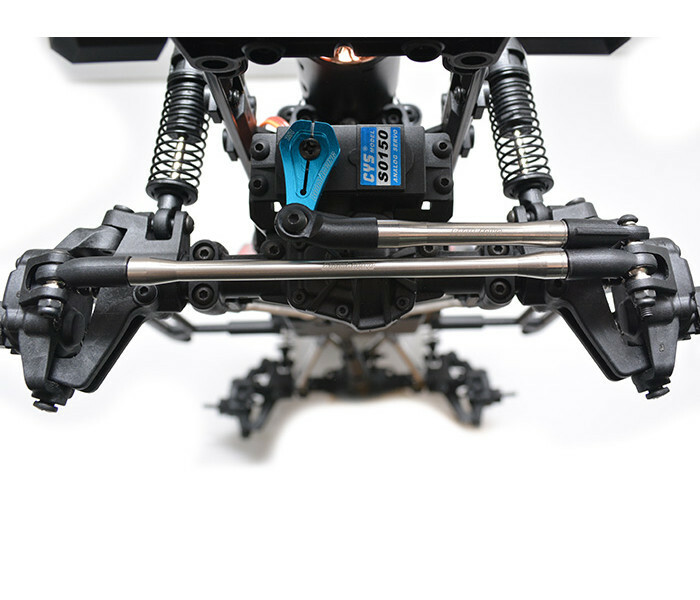 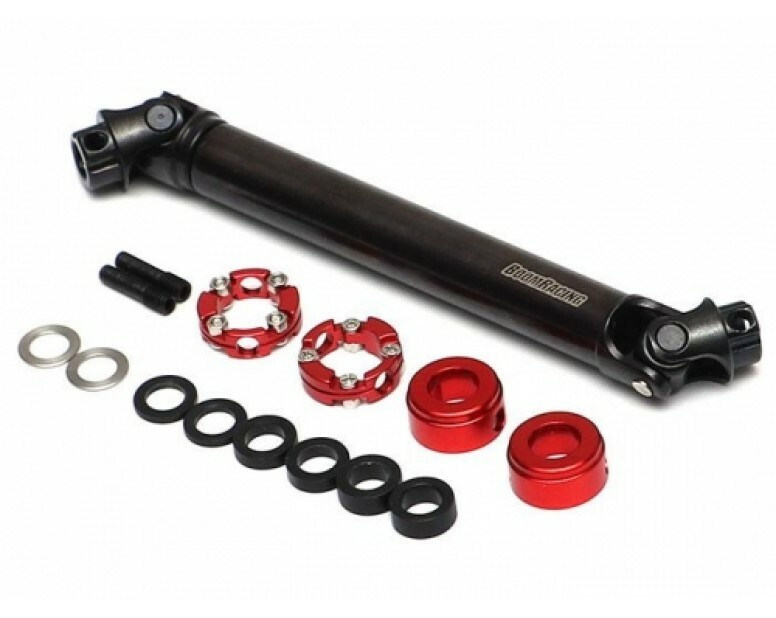 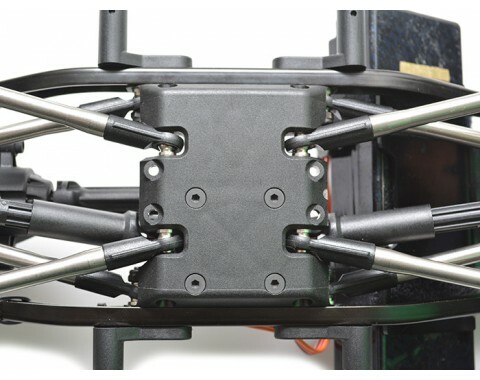 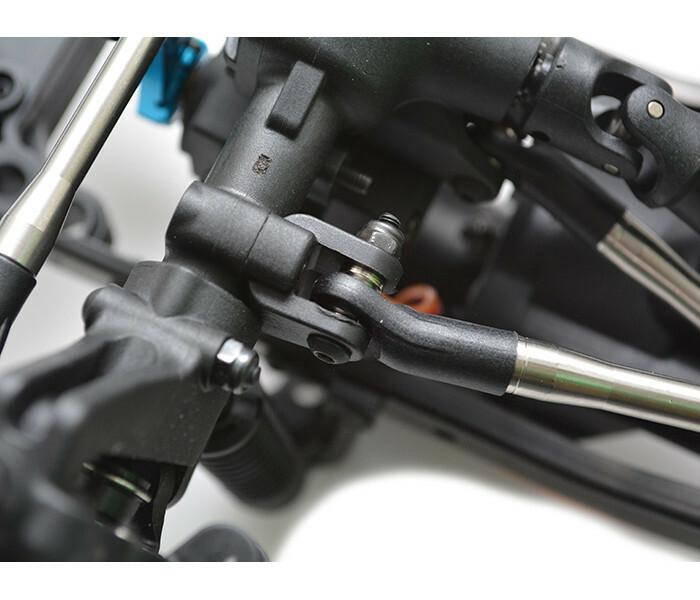 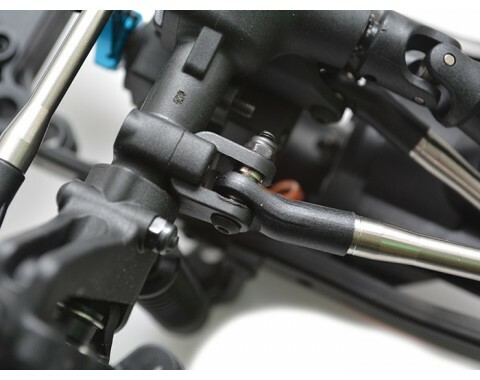 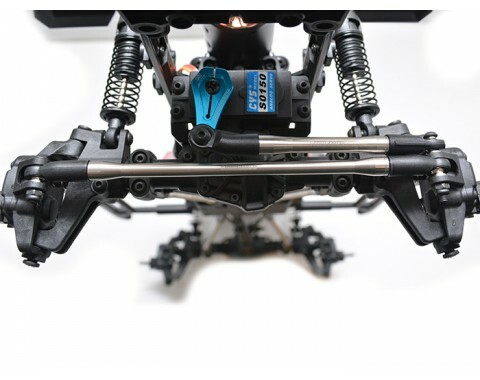 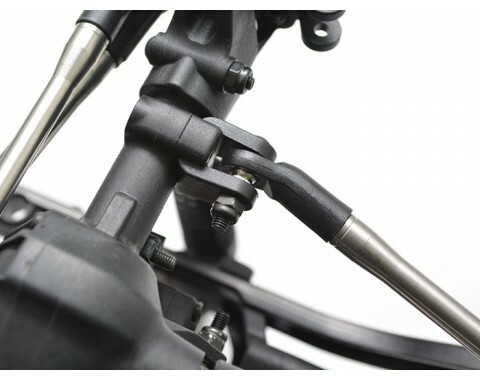 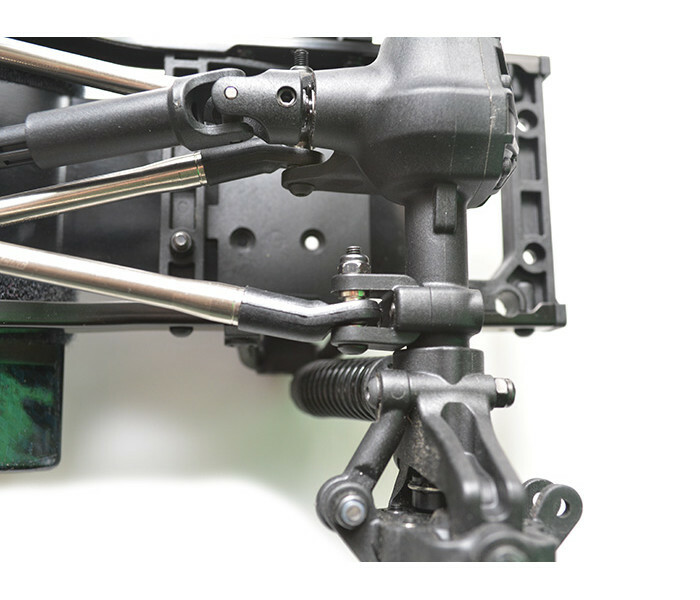 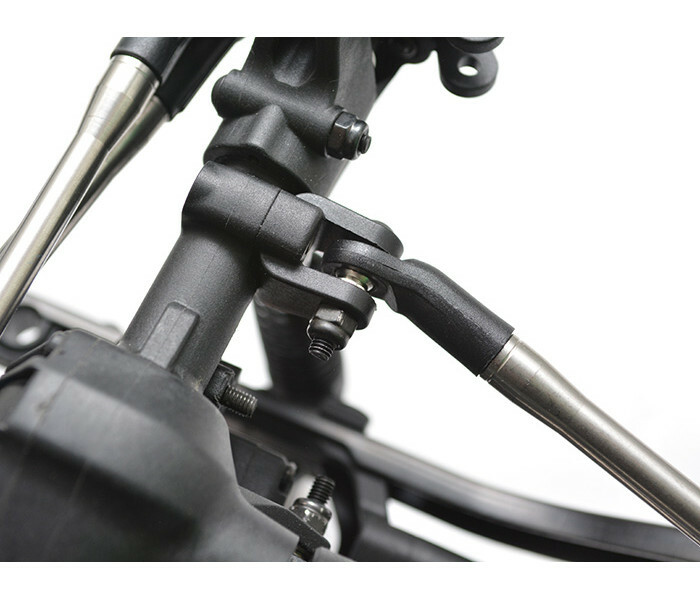 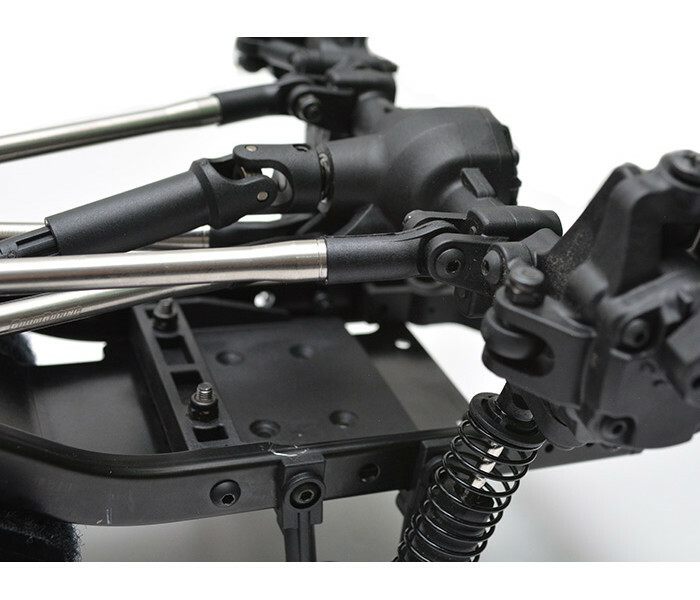 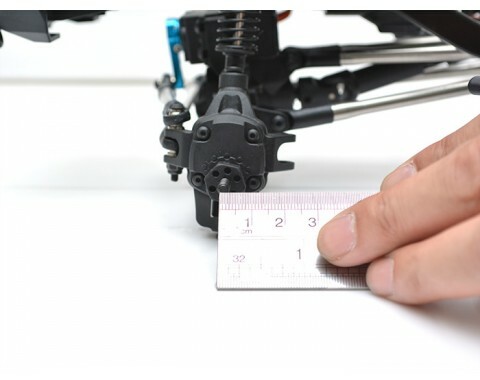 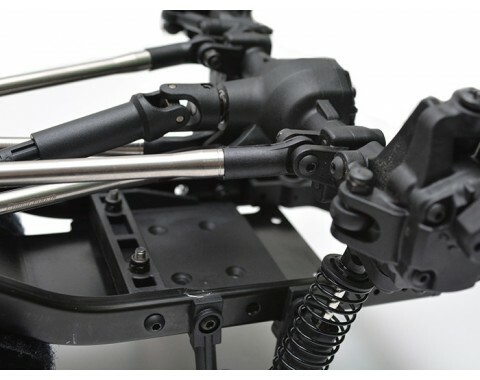 This upgrade extends the 300mm stock wheelbase to 313mm and beefs up your links, and improves weight down low for crawling. 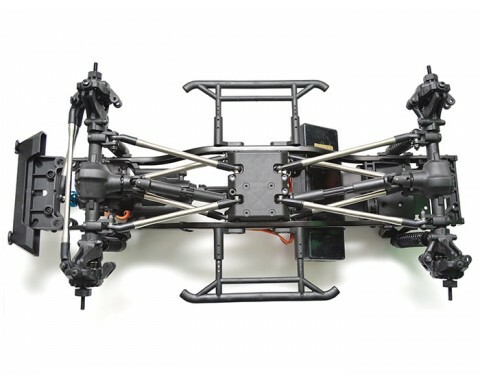 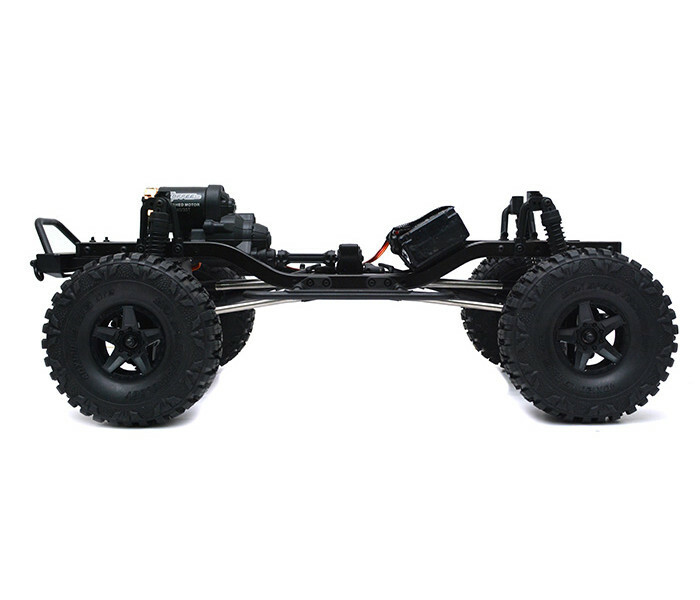 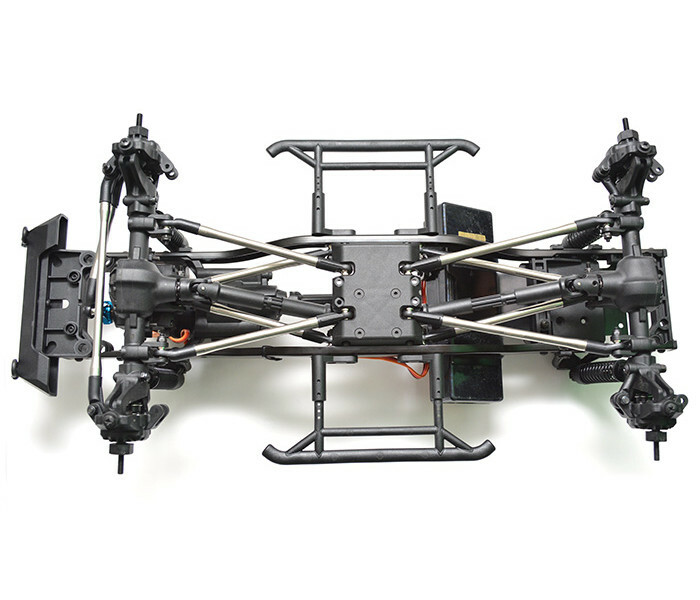 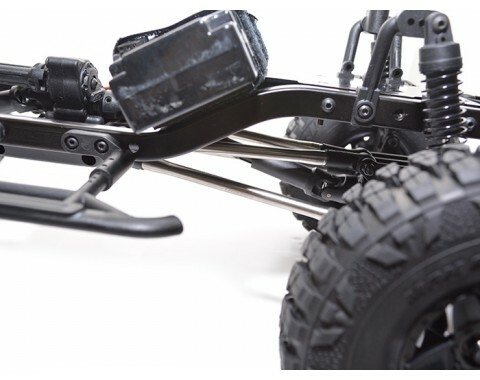 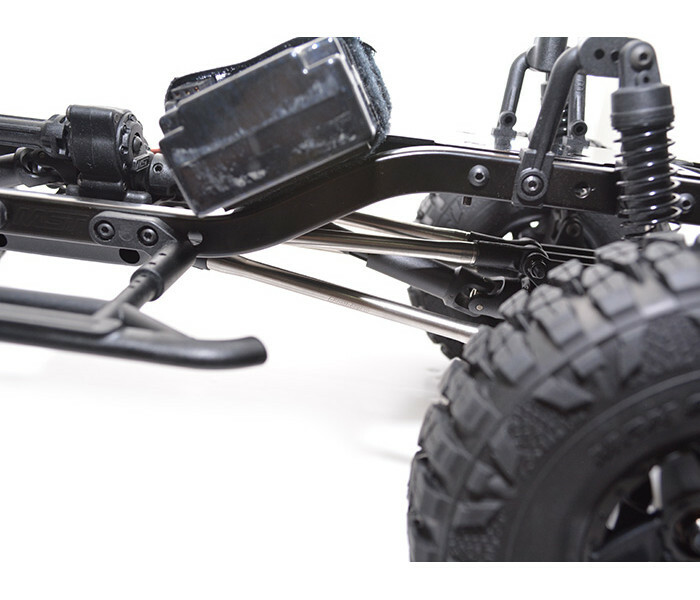 The CFX-W is 300mm wheelbase stock, they will extend your rig to 313mm to fit many popular bodies, including this Killerbody Toyota LC70 hardbody.